We are a passionate non-profit organization comprised of many community action minded yogis who are dedicated to bringing the healing power of yoga to those who have experienced trauma, who are under served & marginalized and in need of these tools of transformation. We believe in the dignity and worth of every human being, and strive to promote self-awareness, self-respect & self-mastery. Our approach to trauma sensitive yoga combines equal measures of patience, compassion & gentleness. We treat each individual as a whole regardless of social status and past trauma history. Through our approach to trauma sensitive yoga we engage the participant to experience the present moment, take effective action, create rhythms, & make choices within their practice. We have found that through this approach of taking ownership of choices while on the mat, students are better able to make choices off the mat. Anne has worked in healthcare for nearly 20 years at both the micro- and macro-levels. Anne has expertise in health program & content development, analytics, and business operations; she applies these skills as a healthcare consultant, focusing on quality, affordability and care transformation. Until just recently, Anne co-owned Magnolia, a barre-yoga-life studio in Portland, Maine. Magnolia was a community of movers & shakers who support and empower each other to bring their best selves forward. Anne is a registered yoga teacher (200 hr) and barre instructor; she has completed numerous trainings including trauma-informed practice. Anne loves to run, write, and yoga with her family in Falmouth, Maine. Melea has been in education for her full career, starting out as a special educator for students with emotional and behavioral disabilities in a border town in Texas. She went on to teach in Oakland, CA and Key West, FL and coached new teachers working in low-income urban and rural districts across the country for many years. She served in leadership roles during the scaling years of two national non-profits, Teach For America and Achievement Network. Currently, Melea is the Assistant Superintendent of Teaching and Learning/Chief Academic Officer for the Portland Public Schools here in Maine. She is a certified yoga teacher (200 hour) and has completed multiple trainings on trauma-informed yoga, including David Emerson’s trauma-sensitive yoga training. Melea holds a BA from Bowdoin college and a Masters in Education Leadership from Harvard University. When she’s not working on equity or on her mat, she is with her two young boys (and husband too!). Tom has worked in the world of finance for over 20 years. He has served as Finance Director at Maine School Administrative District 51, was both a student and a teacher as a member of the Omicron Class at the Institute for Civic Leadership producing Writings on the Seven Levels of Sustainable Non-Profits, and taught personal finance and mathematics at Gould Academy in the mid-1990’s. Tom gives workshops using the principles which guide his business to different audiences, has guested on Dr. Lisa Belisle’s “Dr. Lisa Radio Hour” and Debi Davis’s “Mind Your Own Business,” and is currently writing a book with the working title, Evolve with Your Money. Tom is an avid lacrosse player and lives with his family in Cumberland, Maine. Jen joined Sea Change Yoga in 2017 soon after learning about the organization and reaching out to see how she could be involved. Jen has participated in Yoga for Depression and Anxiety training with Kate Graham out of Boston. She is currently working to receive her 200 hour yoga certification and is certified as a Health Coach with the Institute of Integrative Nutrition. Throughout her own journeys Jen discovered yoga as a powerful tool for dealing with depression and anxiety and hopes to share it with others. Another passion of Jen's is the environment. She works full time at ReVision Energy, helping to manager their Portland office. ReVision Energy provides solar energy and heat pumps for residential and commercial businesses. When not working, Jen is often enjoying the outdoors, paddle boarding and skiing. Heather currently has a psychotherapy and consulting practice grounded in more than 20 years of clinical experience. She worked for 16 years for a national foundation focused on childhood trauma and economic security issues and has provided clinical consultation and supervision in a variety of settings. Heather has trained nationally on the treatment of developmental trauma, her professional training is in the following evidence-based/informed modalities: Trauma-Focused Cognitive Behavioral Therapy, Theraplay, Dyadic Developmental Psychotherapy, Parent-Child Psychotherapy, Yoga-based treatment strategies, Sensorimotor Psychotherapy, Gestalt Theory and Positive Psychology. She works hard to understand the evolving neuroscience research, is happily married to a yoga teacher and is the proud parent of two young men who can talk about their feelings. Alison is the Executive Director at the ACLU of Maine, where she oversees the organization’s legal, legislative, public education and development activities. With over 8,000 members, the ACLU of Maine is the state’s oldest and largest civil liberties organization. Before joining the ACLU of Maine in 2014, Ms. Beyea held a variety of positions in not-for-profit and educational institutions. Justine has a degree in history from the University of Massachusetts, Amherst and a Masters in Business Administration from the University of Southern Maine. She has been working in marketing and communications for more than 15 years and is the Executive Director of Friends of Spannocchia, a non-profit organization that supports an educational center and organic farm in Tuscany, Italy. Justine is a registered yoga instructor and in 2012, she co-founded Maine YogaFest to help strengthen the yoga movement in Maine. Though it began with a physical practice, the spiritual and mental benefits of yoga keep bringing her to her mat. As an instructor, Justine has watched numerous students transform their lives through this simple practice of movement and breath. She is honored to be a part of Sea Change and to continue to spread the benefits of yoga throughout our community. Cesca is a retired Elementary School principal with her doctorate from the Harvard Graduate School of Education. Yoga has been a significant part of her life for many years. She presently serves on several nonprofit boards in the Portland area, is an accomplished photographer and enjoys traveling to explore foreign lands and cultures. She is thrilled to be part of Sea Change Yoga which she believes can help make the world a more peaceful and healthy place - one person at a time! Elizabeth is an experienced public health professional with global and domestic health experience. She is a certified 200-hour yoga teacher with training in Integrative Yoga Therapy. She has worked for years with trauma-informed yoga practices through her involvement as the co-Director of Research and Evaluation for yogaHOPE, and as a trained facilitator in TIMBo (Trauma Informed Mind-Body Program). Her professional work spans from leading clinical and operational quality improvement initiatives with community health centers in the U.S. to health system strengthening efforts with partners in Africa, Asia and Latin America. 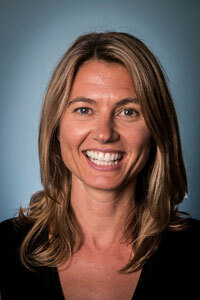 Elizabeth is currently the Chief Program and Quality Officer at Greater Portland Health. In the past she worked for the Harvard School of Public Health, the World Health Organization, the Yale Global Health Leadership Institute, and the Massachusetts League of Community Health Centers. Elizabeth received her Masters in Public Health from Yale University and her Bachelors from Bates College. Her personal interests include her family, running, yoga and travel. 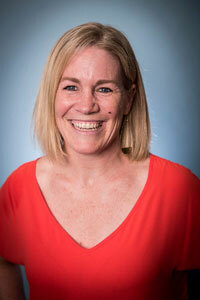 Jen is a licensed clinical mental health counselor in private practice in Portland, Maine. Jen brings wisdom and presence, cultivated by over two decades of yoga teaching and dedicated yoga studentship, to everything she does. Certified to teach in the Kripalu lineage in 1997, Jen also studied with Louisa Sear in Bali, and spent continuous years back and forth between India and the U.S. where she has studied with master teacher’s in the Astanga, Anusara, and Jivamukti lineages. 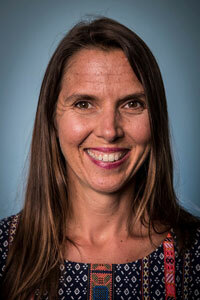 Jen is committed to integrating and applying ancient wisdom to contemporary challenges. She has a particular affinity for sharing meditation and yoga with those who struggle with mental health and substance use disorders. Jen is pleased to be serving on the board of Sea Change Yoga where she actively supports the mission of bringing trauma-informed yoga to students who might not otherwise have access. In addition to being the proud mother of a 12-year-old son, Jen is a certified holistic health coach, and runs her own health and wellness business alongside her therapeutic counseling practice. Diana founded Sea Change Yoga with the intent of bringing yoga and meditation to the people who needed it’s healing power the most, but due to lack of resources and other barriers had no access. A yoga student for decades, her practice took on a new dimension for her when her daughter Anna became very ill with anorexia. Observing that yoga helped Anna become embodied again as she recovered from her illness was the very personal inspiration for this organization. She began to dream of bringing a yoga service organization to Maine, which led her first to a training with Yoga Behind Bars in November 2015 where she met founding board member Melea Nalli, and subsequently to several more trainings, with leaders in the yoga service field, to study the neuroscience behind trauma and how yoga works to address interoceptive awareness. With the help of the Yoga Service Council and a passionate board of like- minded yogis she founded Sea Change Yoga in August of 2016. Diana believes strongly that yoga helps to heals trauma of all kinds and that everybody deserves yoga. Megan joined Sea Change Yoga shortly after it was incorporated as a non-profit organization in the summer of 2017. She has worked in the Advancement offices of several non-profits in the area, including as Director of Annual Giving at The Maine Girls' Academy, Maine's only all-girl high school. Prior to that she worked for nearly a decade as Director of Development Operations at Maine Audubon, the state's largest wildlife conservation organization. Access to learning yoga practice has benefited Megan’s life in immeasurable ways, and she is honored to be part of the yoga service movement in Maine! Regan, a member of Sea Change's founding board of directors, transitioned to staff as our very first Program Director, coordinating our classes across all facilities. In Regan’s spare time you'll never find her sitting down. She's either practicing yoga, running, playing tennis, chasing kids or planning her next adventure. She co-founded Maine YogaFest in 2012 with her friend and business partner, Justine Carlisle to host a wellness event to build community among yoga practitioners, teachers and studios in Maine and New England. She ran the festival until January 2017 when it was sold. As an event planner, Regan spent several years working for the Washington Redskins and a large DC based law firm. Regan has a Bachelor of Arts in Business Administration from American University.